State officials toured several Yukon River communities last week, the third year in a row that the Walker administration has made the trip, hosted by the Tanana Chiefs Conference to talk to village residents about salmon. Lt. Gov. Byron Mallott said the trips have spanned from upriver at Eagle, to the Yukon’s mouth at Emmonak, to discuss the impacts and causes of weak king salmon runs. Climate change is increasingly a focus, Mallott said. ”What is happening in terms of weather patterns? What is happening in terms of water temperature changes? And those became part of the discussion this year,” Mallott said. Mallott said the trip which also included a stop at the Kuskokwim River community of McGrath, revealed similar concerns across regions. “The escapement goals of the Department of Fish and Game and the federal managers, but something is happening when they reach the estuaries and the ocean itself,” Mallott said. Salmon bycatch has been reduced in the Bering Sea, indicating climate change may be the primary cause of poor returns, Mallott said. He pointed to sea-warming that is spreading north. 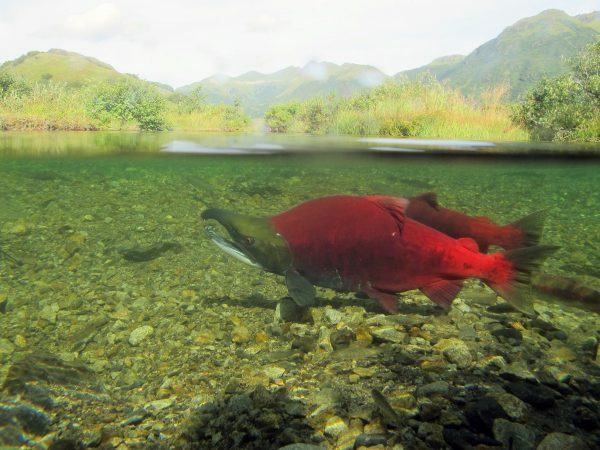 including for salmon research, Mallott said.